House Of Doodle: The Art and Times of HOD: It's a HOD life for me. Artist, Creative, Motivator and Mover and Shaker specializing in Comics, Illustrations and Creating Fine Art messes. It's a HOD life for me. This weekend we dock in our home Port at Stockton-Con. Home town shows bring out the shenanigans and over the top fun. And so much more I can't say or I'll have to make myself walk the plank! 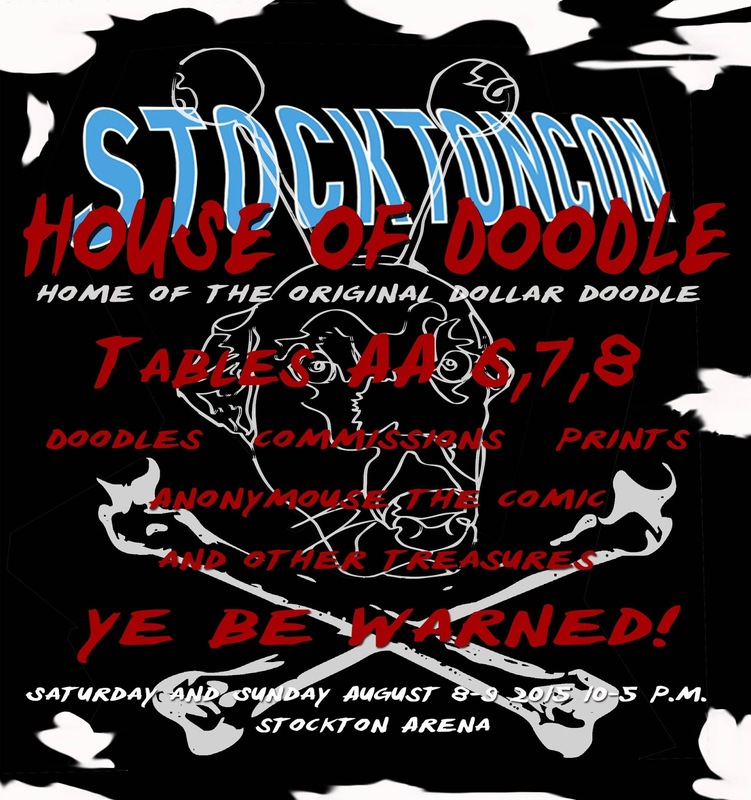 Stockton-Con is located at the Stockton Arena. Stockton, Ca. August 8 - 9 2015 10am-5pm and 4pm Sunday. Be sure to check out #houseofdoodle on Twitter and Instagram for updates through the Con. I make Comics, messes and dreams come true. Artist, Creative Motivator and High-5 Extraordinaire. House of Doodle is a creative company specializing in creative concepts and Design solutions. The Doodle holds a BFA in Sequential Art and Illustration has experience working with all mediums and walks of art. I'm awesome, just ask anyone. House Of Doodle. Awesome Inc. theme. Powered by Blogger.